The Willwriting Service (Reading) are members of the Association of Lawyers & Legal Advisors and the Willwriters' Association and has been established for more than 20 years. We are now the leading Will Writing Company in Reading and Berkshire and can assist you whatever the situation you find yourself in, whether guardianship issues, the prospect of care home fees, or transfer of property ownership. Our Head Office is at Reading, Berks and we have professional consultants that are local to you anywhere in the South of England. We serve all areas of Reading, e.g. 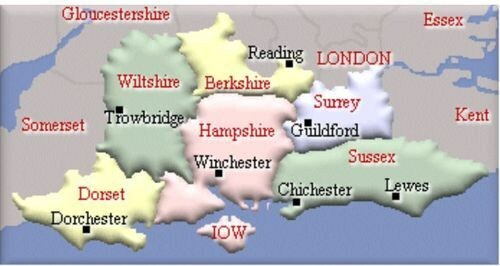 Tilehurst, Earley, Caversham, Woodcote, Theale, Tadley, Wokingham, etc. Our consultants are based in all the southern counties, Hampshire, Oxfordshire, Berkshire, Wiltshire, Hertfordshire to mention just a few. Most are qualified Independant Financial Advisers and can take instructions to the highest standards. We offer a personal and confidential service and will always ensure that you are completely happy with your new Will or Codicil, and can assist with ensuring your property is owned correctly in order that your loved ones will benefit and not be encumbered with Inheritance Tax, Community Care Tax, and unnecessary legal costs in the event of your death.